Is Winter dragging on a little too long in your corner? It is in mine. 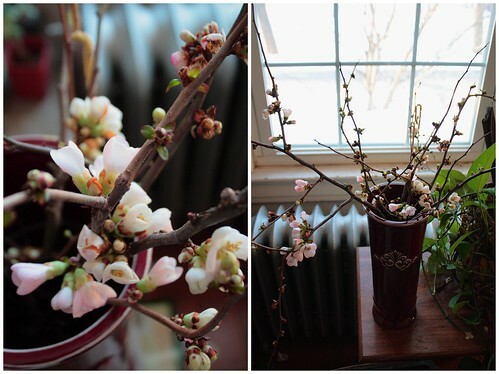 My latest coping mechanism is forcing flowering branches, via this tutorial from my friend Jennie at Straight from the Garden. It is saving the day!